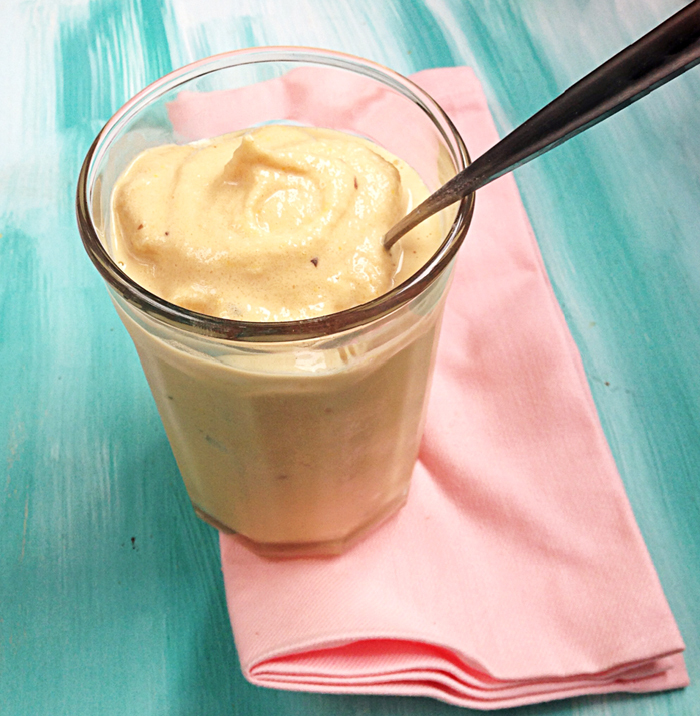 For a quick pick-me-up treat, blend up this thick, creamy, frosty Vegan Vanilla Shake. I add protein powder for extra nutrients. 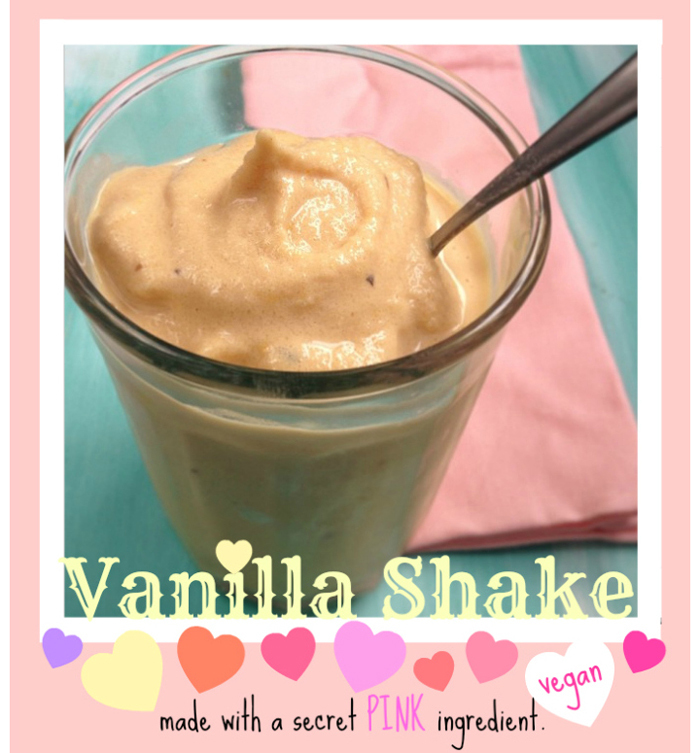 Simple ingredients, and one secret pink ingredient!.. Secret Ingredient. If you follow my blog, the secret ingredient (FROZEN WATERMELON!) may not be a secret to you since I use it a lot in my shakes. I love love love the frosty cool texture the watermelon gives my shakes when blended with creamy banana and non-dairy milk. I use this ingredient in my favorite matcha shake. Shopping Tip! You can buy a giant half or quarter of watermelon at the grocery store (year-round even!) for just a few bucks. I take it home and slice it into cubes (roughly) and freeze in a large container or plastic bags. I can get at least five shakes (sometimes more!) out of one large watermelon slice. The watermelon acts as "ice cream" and "ice" all in one. It sweetens, adds texture, frostiness and even sweetness. Watermelon is super low in calories compared to (ice cream) the usual "shake" ingredient. Watermelon contains only 50-60 calories per cup and plenty of vitamin C, potassium and even lycopene found in red and pink-pigment fruits and veggies. Bananas are of course very healthy and contain fiber, potassium and natural sweetness. tip! ripe fruit makes for a yummier smoothie, so freeze your banana and melon when they are ripe! 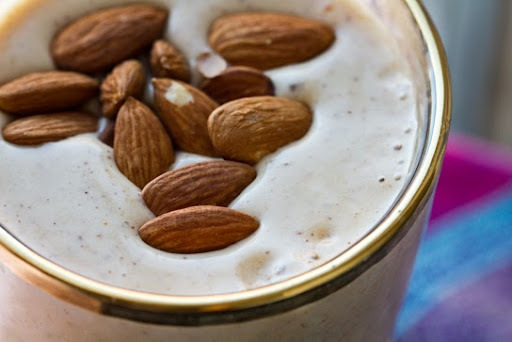 I use a Vitamix so that this smoothie blends up thick and creamy. But if your blender is not as powerful, you may need to add a few more splashes of liquid to get the blend moving. Protein Powder? So many to choose from! I tend to skip around brands to make sure I get a balanced selection of good stuff. Plus I just love trying new powders. You can also browse Amazon.com for vegan protein powder. ...read through all those great comments on their blog posts - some great tips and comments from readers! Shopping Tip! Remember that if you are looking for vegan protein powder, do not choose anything that contains whey or casein. Both those ingredients are dairy-based. Interested in Vega? Check out my review + Chocolate Maca Chip Smoothie Recipe and giveaway! Oh, and this smoothie is also kinda awesome if you want another smoothie to try..